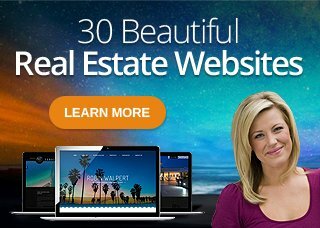 Every real estate website must reside on a computer connected to the Internet. In other words, it needs to be stored on an ‘Internet server’ physically connected to the Internet. When people view your real estate website, they are actually sending an information request to this server which displays a page that is read by their Intenet browser. After your real estate website has been designed, it is transferred to one of our data centers for hosting. We utilize state-of-the-art server systems hosted with the world leaders in co-location, Cogent Communications and Verio. AGENT IMAGE™ hosting features high-speed, reliable connectivity with fail-safe systems, backups and 24/7 monitoring. Every hosting plan includes sophisticated web statistics software to help you track visitors to your site. Can I host my site with another company? Our AgentPlus, AgentPro, OfficePro and Semi-Custom sites are non-transferable. The designs and database technology are proprietary for these products. For the real estate sites to work, they all must run on the same internal system. With our custom sites, you own the design and license the technology from AGENT IMAGE™. You can move the site anytime if you choose as long as your hosting provider will support the technology that drives the real estate site.